It is a difficult and often lonely task when you find yourself in the role of a caregiver for a loved one, child, spouse or parent. This is all the more so when there are no family members available to help. Conditions that effect the neck and back can result in disabilities that require caregivers to help. This is not limited to these conditions and caregivers are valued for life. Fortunately, there are services provided by organizations that can help, offering needed and welcome relief for those with an ailing friend, relative, spouse, child or parent. Facilities offering adult day services provide comprehensive packages to assist such as rehabilitation activities, social opportunities, personal care like help with toilet use or bathing, meals, nursing care and transportation. The package of services offered by adult day services will be different according to the facility, but can offer help with assisting in daily activities, supervising, and support with physical as well as cognitive impairments. Adult day services are available to help caregivers during typical business hours, but some are available on weekends and evenings. A good source for help to caregivers are certified nurse aides. These aides have training in helping with daily activities like personal care, dressing and bathing. Because they are not nurses, they cannot help with administering medication. It may be possible to hire a homemaker or companion that can offer transportation, companionship, help with shopping, doing laundry and meals. This can be as simple as a college student who needs help with their rent or can stay in the home in exchange for this help. Some are willing to assist with personal care as well. For personal services like dressing, bathing and possible light housekeeping, home health aides may be available. Assistance in the form of nutritious, hot meals can be provided by organizations like Meals On Wheels of America, Some government programs, senior centers, religious organizations, or community groups can provide these helpful services. Check with the insurance company or hospital that may use case managers to coordinate and oversee health care issues. Often, they are social workers or registered nurses that monitor progress, do service coordinating, and can communicate with the caregiver, billing issues, as well as family members and health care providers. Trained health care professionals, such as nurses can provide vital care, like administering medications and taking care of wounds. Some occupational, speech and physical therapists may offer therapy sessions inside the home offering specialized help for caregivers. 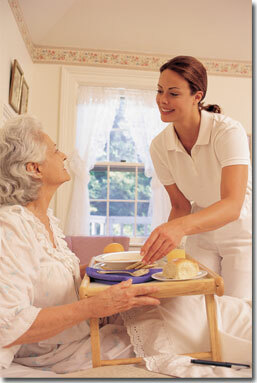 Time off from caregiving can be provided by respite care workers. Some areas in communities provide transportation at low cost or for free for those who are disabled or seniors. Check community and religious organizations like synagogues or churches, senior centers and aging councils. If you need help in referring to community services in your area, assistance and other useful information, check with the United Way or the National Health Information Center: A local social worker, hospital case manager, geriatric care manager or agency on aging can help in suggesting financial help and local services. Examples are: A 24 hour help-line is provided by the Alzheimer’s Association at (800) 272-3900 as well as offers support groups, training programs and other services. The ALS society provides resources, the Multiple Sclerosis Society offers resources and support and the American Parkinson Disease Association offers local resources. With a little research, help for caregivers is available to improve the lives of individuals who struggle with disability, illness, or matters relating to aging.